This is my ZIA (Zentangle® inspired art) for this week's project. The accordion album was created using Elizabeth Craft Designs accordion circle die, from the Pop It Ups collection by Karen Burniston. I used 100 lb. Strathmore Smooth bristol board for the main structure. 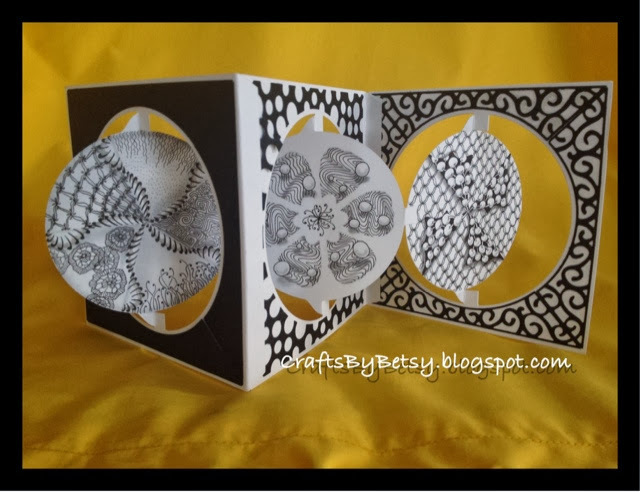 The interior circles were hand drawn using the zentangle method. 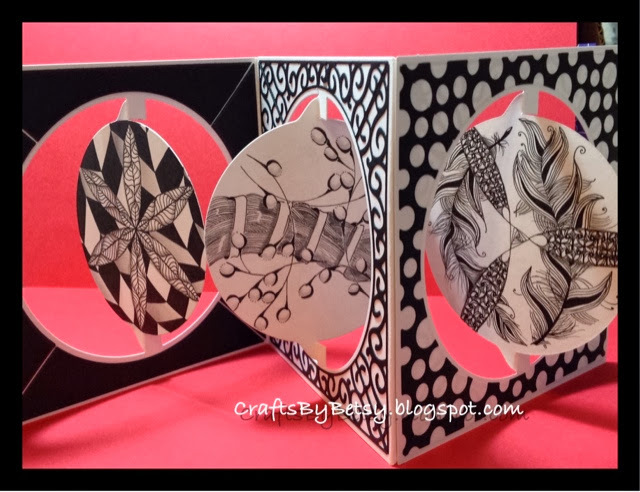 The exterior "frames" were cut from cardstock using an accompanying die set also from Elizabeth Craft Designs. The pages measure 4.75 x 4.75 inches. 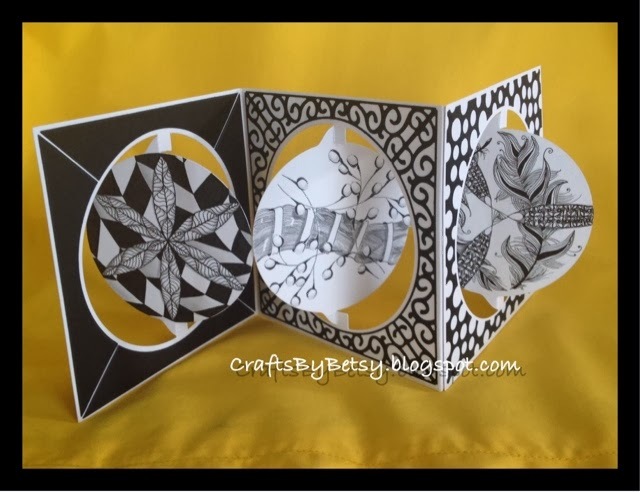 The Zentangle® Method is an easy-to-learn, relaxing, and fun way to create beautiful images by drawing structured patterns. It was created by Rick Roberts and Maria Thomas. "Zentangle" is a registered trademark of Zentangle, Inc. Learn more atzentangle.com. a very beautiful card! love it!! !